Multiple sclerosis (MS) is a chronic inflammatory disease of the central nervous system (CNS) that affects approximately 2.5 million people worldwide (Noseworthy et al. 2000), resulting in a permanent disability mainly in young adults between 20 and 40 years of ages with a higher incidence in women than in men (ratio of 2:1) (Duquette et al. 1995; Sospedra and Martin 2005). The exact etiology of MS is yet unclear; however, it appears to involve genetic susceptibility and non-genetic triggers, such as environmental factors, metabolism dysregulation, or infections, that together result in a self-sustaining autoimmune disease which leads to persistent immune attacks against CNS (Rosati 2001; Rodriguez 2007; Ebers 2008). Several lines of evidence suggest that the main etiopathogenetic event of MS development is due to an aberrant autoimmune response in which T and B lymphocytes destroy myelin sheath surrounding the neurons (Siffrin et al. 2007; Weber and Hemmer 2010; Disanto et al. 2012). This causes inflammatory lesions in the CNS and leads to the loss of oligodendroglia and axonal degeneration (Siffrin et al. 2010). There are three forms of MS based on the mode of its evolution. The majority of patients, about 85–90% of all cases, develops a relapsing–remitting form of MS, which represents the initial inflammatory phase, but over the time period the condition recurrently shifts into a secondary progressive (SP) form associated with axon degeneration (Lublin, Reingold et al. 2014). A less common progressive subtype is primary progressive, which affects about 10–15% of all cases and manifests with no relapse but a steady decline in physiological activities from disease onset (Andersson et al. 1999). Despite the recent progress in therapeutics for the early stage of the disease, currently there are no disease-modifying treatments for the progressive stage, but only for symptomatic palliative care (Fox and Rudick 2004). Drugs that are conventionally used for the treatment of acute inflammatory relapses in MS include immunosuppressive agents and corticosteroids. Interferon (IFN)-β, glatiramer acetate, natalizumab, fingolimod, dimethyl fumarate, and alemtuzumab are also used as immunotherapeutic interventions for immunomodulation (Hemmer et al. 2006; Vosoughi and Freedman 2010). Unfortunately, these treatments are associated with many side effects that hinder their application for protracted period (Weber et al. 2012). Therefore, in order to improve the outcomes for the majority of MS patients, alternative approaches are urgently necessary for immune regulation rather than non-selective immunosuppression and neurological repair. Over the past decade, the transplantation of stem cells as a potential treatment for MS has become the center of focus among clinicians, owing to encouraging preclinical and clinical results (Karussis and Kassis 2008; Payne et al. 2008; Uccelli et al. 2008; Joyce et al. 2010). As regard MS, the ability of transplanted stem cells to move into the inflammatory areas of CNS seems to be a key functional element to stimulate local immunomodulation and neuroprotection, to accelerate the remyelinating mechanisms through production of growth factors and anti-apoptotic elements, and to activate the resident stem cells (Karussis and Kassis 2008; Kemp et al. 2010). To date, mesenchymal stem cells (MSCs) are the main candidate for cell-based therapy, including both autologous and allogenic MSCs. Especially, bone marrow-derived MSCs (BM-MSCs) represent the main source of MSCs, and various preclinical data have demonstrated the beneficial effects of BM-MSCs’ administration to suppress the symptoms and disease progression in experimental model of MS (Zappia et al. 2005; Zhang et al. 2005; Gerdoni et al. 2007; Bai et al. 2009; Rafei et al. 2009). However, the invasive procedure associated with harvesting BM-MSCs and the low yield of viable stem cells limit their use in clinical trials (Rao and Mattson 2001). Because of these restrictions, alternative sources of MSCs including cells derived from adipose tissue, fetal annexes, and dental tissues have received much consideration. This review summarizes the current knowledge about the MSCs derived from most investigated bone marrow tissue and other unconventional tissues in the treatment of MS.
Friedenstein et al. (1974) in 1968 described first the MSCs as the fibroblast-like cells in the bone marrow. Subsequent studies showed that although MSCs reside mainly in bone marrow, they can be isolated also from other adult and fetal tissues including adipose tissue, umbilical cord, fetal lung, amniotic fluid, placenta, synovial membranes, peripheral blood, and dental pulp (Erices et al. 2002; Campagnoli et al. 2001; De Bari et al. 2001; Int Anker et al. 2004; Wagner et al. 2005; Huang et al. 2009; Ab Kadir et al. 2012). Due to the heterogeneity of the BM-MSCs, there is no specific surface marker profile, but it is widely accepted that they are positive for CD29, CD73, CD90, CD105, CD166, STRO-1, Octamer-4, and stage-specific embryonic antigen-4 (SSEA4) surface markers and negative for hematopoietic surface markers, such as CD14, CD34, CD45, and major histocompatibility complex, class II, DRα (HLA-DR) (Conget and Minguell 1999; Gang; Bosnakovski et al. 2007; Greco et al. 2007; Akiyama et al. 2012) (Table 1). Expression profile suggests that they can be used in both allogeneic and autologous transplantation. BM-MSCs are unspecialized cells characterized by their capability to undergo in vitro self-renewal and differentiate into multilineage cells, including adipocytes, chondroblasts, osteoblasts, and myogenic cells (Tai and Svendsen 2004; Cohen 2013). In addition, MSCs under different culture manipulations have been shown to give rise to neural-like, glial-like, and astrocytic-like cells (Woodbury et al. 2000; Black and Woodbury 2001). Recent in vitro evidence suggests that the neuroprotective role of MSCs is due to their ability to elaborate various neuroprotective factors including brain-derived neurotrophic factor (BDNF) (Wilkins et al. 2000). It has been demonstrated also that MSCs may exert antioxidant actions via secretion of superoxide dismutase 3 and modulation of the phosphatidylinositol 3-kinase/Akt and MAPK pathways (Parr et al. 2007; Lanza et al. 2009; Wilkins et al. 2000; Kemp et al. 2010). MSCs were found to have important immunomodulating properties by suppressing in vitro T and B cells functions as well as NK cells (Beyth et al. 2005; Sotiropoulou et al. 2006; Spaggiari et al. 2006). It is presumed that that the beneficial effects of MSCs are attributed to secreted factors rather than from their ability to tissue migration and differentiation (Baglio et al. 2015). By profiling MSCs secretome characterization, it was found the presence of many cytokines, chemokines, and growth factors through which MSCs promote neuronal survival increases process of neurogenesis and angiogenesis, modulate immune response, and inhibit neuronal cell death/apoptosis (Pires et al. 2016). In addition to soluble factors, extracellular vesicles were found to be a key factors in cell–cell communication (Mittelbrunn and Sanchez-Madrid 2012). Moreover, secretome of MSCs obtained from different tissue source presents significant differences in content. BM-MSCs secretome contains elevated concentrations of insulin-like growth factor 1 (IGF-1) and IGF-2, hepatocyte growth factor (HGF), epidermal growth factor (EGF), and basic fibroblast growth factor. Neuroprotective effects have attributed also to the secretion of neurotrophic factors such as nerve growth factor (NGF), BDNF, and glial cell-derived neurotrophic factor (GDNF) (Pires et al. 2014). In the last decades, the use of BM-MSCs was recognized as a valid therapeutic approach for CNS-related conditions. However, there are still some disadvantages associated with their use. Among these, the painful invasive isolation and the low number of cells (100–1000 cells/mL of marrow) require an in vitro long phase expansion before implantation into patients (Bentivegna et al. 2016). However, the high proliferation rate in an artificial cell culture environment could promote the occurrence of genetic alterations. Indeed, it was found that at early passages, human BM-MSCs are genetically stable and retain identity and high proliferation capacity, whereas cells became senescent at late passages. In parallel, the slower proliferation altered morphology and immunophenotype making them more susceptible to cell neoplastic formation concomitantly to a progressive decrease in clonogenicity and differentiation potential (Kundrotas et al. 2016). MSCs derived from bone marrow of both murine and human origin have been widely investigated in experimental autoimmune encephalomyelitis (EAE), an induced model of MS. In EAE model, disease commences by auto-reactive T cells that when are peripherally activated, translocate into CNS, where they are re-activated by local antigen-presenting cells, and recruit additional peripheral pathogenic immune cells to contribute to the demolition of myelin and eventual neurodegeneration (Goverman 2009). Many studies showed that transplantation of BM-MSCs modulates CD4+ T-cell-mediated myelin oligodendroglial glycoprotein peptide (MOG35−55) EAE, and blocks the autoimmune attack against myelin antigens (Zappia et al. 2005; Gerdoni et al. 2007; Gordon et al. 2010; Uccelli and Prockop 2010). These effects were also correlated with reduction of demyelination as well as T-cell infiltration and induction of T-cell anergy and nervous tissue repair by integration into the CNS (Zappia et al. 2005; Rafei et al. 2009; Gordon et al. 2010). In addition, several evidence suppose that transplanted BM-MSCs can protect neural tissue through cell replacement and/or paracrine mechanisms (Uccelli et al. 2008; Uccelli and Prockop 2010); however, it is unclear whether the paracrine factors alone, without the cell graft, would exert therapeutic effect in EAE treatment. Zappia et al. (2005) demonstrated that the allogenic intravenous injection of BM-MSCs (1 × 106) obtained from bone marrow of C57BL/6 J healthy mice and injected in EAE C57BL/6 J mice significantly diminished the clinical severity of EAE, as well as inflammation and demyelination in brain and in spinal cord. It is important to note that treatment with MSCs was effective if administered at disease onset or at the peak of disease but not after disease stabilization. The therapeutic effect of BM-MSCs was attributed to the induction of T-cell anergy, which happened at the level of lymphoid organs, where BM-MSCs seemed to migrate and probably transdifferentiate into local cells. In the same study, it was found that T lymphocytes isolated from BM-MSCs-treated mice and exposed in vitro again to MOG35−55 did not proliferate, suggesting that BM-MSCs could induce peripheral immune tolerance. A subsequent study by Zhang et al. (2005) investigated the effects of human BM-MSCs (hBMSCs) on axonal loss in proteolipid protein (PLP)-induced EAE in SJL/J mice. Here, authors demonstrated that the allogenic intravenous injection of hBMSCs (2 × 106) in EAE mice upon onset of paresis ameliorated neurological functional recovery, via decreasing lymphocytic infiltration and demyelination and by promoting also oligodendrogenesis through the production of neurotrophic factors like BDNF. In particular, the authors emphasized the importance of the BM-MSCs administration time, which is correlated with the degree of inflammation during EAE. In this regard, another recent study of 2015 (Kurte et al. 2015) demonstrated that early treatment with allogenic murine BM-MSCs (2 × 106) via the tail vein of EAE mice was very effective in reducing the clinical score of disease. It seems that following the increase of cytokine levels measured in plasma, the BM-MSCs enhance their immunosuppressive capacity, decrease interleukin (IL)-6, transcription factor T-bet (T-bet), RAR-related orphan receptor γ (RORγT), and Foxp3 mRNA levels, and restore blood–brain barrier (BBB) in EAE mice. On the contrary, administration of BM-MSCs in later stages induced the appearance of atypical signs of disease, ascribed presumably an imbalance of Th1/Th17 versus Treg lymphocytes. Moreover, Gerdoni et al. (2007) using the PLP-induced EAE model demonstrated that the intravenous administration of allogenic murine BM-MSCs (2.5 × 106) reduced inflammatory infiltrates by decreasing production of IFN-γ and tumor necrosis factor (TNF)-α, as well as demyelination and axonal loss. BM-MSCs treatment inhibited also encephalitogenic potential of myelin-reactive T cells by reducing the production of PLP-specific antibodies. However, the limited number of labeled MSCs found in the CNS of EAE-treated mice proved that amelioration of EAE was not due to engraftment and transdifferentiation of cells, but at the modulation of T cell responses in the spleen and lymph nodes. In addition, as showed in Bai et al. (2009), the intravenous treatment with allogenic human BM-MSCs (3 × 106) increased oligodendrocytes in the CNS and decreased astrocyte number. Injected human BM-MSCs are able also to migrate from the bloodstream into demyelinating lesions of the inflamed CNS and inhibit myelin-specific memory T cells that drive chronic and relapsing–remitting clinical disease in EAE. hBMSCs regulate the balance of T lymphocytes between Th1/Th17 and Th2, and consequently the production of the pro- and anti-inflammatory cytokines production during EAE. Moreover, following in vitro MOG35−55 stimulation of splenocytes from MSC-treated MOG35−55-induced EAE animals, the levels of Th1/Th17 inflammatory cytokines (IFN-γ, IL-17, IL-2 and TNF-α) were significantly reduced along with the concurrent increase of anti-inflammatory Th2 cytokines (IL-4 and IL-5) (Zepp et al. 2011). It has been demonstrated also that the intravenous injection of hBMSCs to EAE mice not only decreased Th17 cells, but also increased the frequency of CD1dCD5+ regulatory B cells (Guo et al. 2013). In contrast to these findings, Nessler et al. (2013) found that the intravenously infusion of human BM-MSCs (3 × 106) had no effects on remyelination process and glial reactions in cuprizone model of MS, since these cells were not able to cross the BBB. The summary of molecular mechanisms underlying BM-MSCs-induced neuroprotective effects discussed above is listed in Table 2. In light of the encouraging preclinical results achieved in experimental model of MS, several phase I/II clinical trials are underway in MS patients. Of note, it seems that autologous BM-MSCs derived from the bone marrow of MS patients showed the same properties of allogenic BM-MSCs derived from healthy donors, as regard to proliferation, phenotype, and differentiation in vivo and immunosuppressive activity (Mallam et al. 2010). According to a phase 1/2 open-safety clinical trial of 2010 (Karussis et al. 2010), the intravenous and intrathecal transplantation of autologous BM-MSCs (60–70 × 106) obtained from the patient’s bone marrow and transplanted in 15 MS patients is a clinically feasible and relatively safe procedure, which induces immediate immunomodulatory effects. No significant adverse effects in one-year follow-up were recorded, except for a headache and fever in those patients intrathecally injected. The viability, safety, and efficacy of autologous BM-MSCs (1–2 × 106) were confirmed in a pilot study involving 10 patients with progressive MS in Iran (Mohyeddin Bonab et al. 2007) and a report on 10 patients intrathecally treated at dose of 3–5 × 107 cells in Lebanon (Yamout et al. 2010). In addition, the transplantation of MSCs was associated with ameliorative effects. Likewise, Bonab et al. (Bonab et al. 2012) also performed an open-label study including 25 patients with progressive MS unresponsive to conventional treatments and showed that a single intrathecal injection of autologous BM-MSCs (29.5 × 106 cells) attenuated disease symptoms in the first year after treatment with no serious side effects. Only minor adverse events, such as headache, fever, nausea, vomiting, and weakness in the lower limbs, have been reported. Connick et al. (2012) performed a phase II open-label clinical trial in which 10 SP-MS patients suffering from optic nerve disabilities were intravenously injected with one dose of autologous BM-MSCs (1–2 × 106) and then monitored for 10 months to assess adverse effects. It was found that patients gained a relative recovery in their optic nerve without significant side effects. In a recent randomized placebo-controlled phase II trial (Llufriu, Sepulveda et al. 2014) involving 9 relapsing–remitting MS patients who failed to standard therapies, it was demonstrated that the intravenous infusion with autologous BM-MSCs (1–2 × 106) or placebo reduced inflammatory magnetic resonance imaging (MRI) parameters supporting their immunomodulatory properties. In specific, immunological variations that were consistent with a lower pro-inflammatory T-cell profile, resulting from the decrease in the proportion of IFN-γ and with lesser intensity of IL-17-producing CD4+ T cells, and a reduced Th1/Th17 ratio were observed. Despite the promising results, the small number of patients enrolled in these clinical trials and the differences between the design process make it difficult to interpret the data (Dulamea 2015). Further investigations are required in order to investigate the effectiveness and adverse effects of BM-MSCs transplantation in MS patients. Although bone marrow remains the main source for MSCs, much attention has been given recently to adipose tissue due to its abundance, simple accessibility, and the practicability of harvesting by modern liposuction procedures (Izadpanah et al. 2006). Large amounts of cells indeed can be isolated from either liposuction aspirates or excised fat, approximately 5000 cells/g of adipose tissue, compared to 100–1000 cells/mL of marrow (Strem et al. 2005; Zhu et al. 2008). It is also estimated that 98–100% of tissue cells are viable after extraction. Adipose-derived MSCs (AD-MSCs), identified for the first time by Zuk et al. (2001), are quiescent cells but can reenter the cell cycle upon culture, with a doubling time of about 60 h (Meza-Zepeda et al. 2008). Moreover, proliferation rate of AD-MSCs is much higher than BM-MSCs (Chen et al. 2015). AD-MSCs can be expanded clonally and differentiate into mesodermal lineages, including chondrogenic, adipogenic, and osteogenic cell types (Zuk et al. 2002; Parker and Katz 2006). Furthermore, in vitro differentiation into cardiomyocytes, endothelial cells, or neuronal cells has been reported (Fraser, Schreiber et al. 2006, Ohnishi, Ohgushi et al. 2007). AD-MSCs display a normal diploid karyotype, reflecting the genetic stability of these cells (Zaragosi, Ailhaud et al. 2006). However, as any primary cell types, AD-MSCs reach a senescence phase in culture after about 30 or more population doublings. It seems that the characteristics of isolated cells, the variability between donors, and the primary culture conditions are correlated with senescence and low clonogenicity (Noer et al. 2006; Meza-Zepeda et al. 2008). AD-MSCs are characterized by positive expression of CD9, CD13, CD29, CD44, CD49e, CD54, CD59, CD73, CD90, CD105, CD106, CD146, CD166, and STRO-1 and negative expression of hematopoietic markers, such as CD11b, CD14, CD19, CD31, CD34, CD45, CD56, CD133, CD144, CD146, and HLA-DR (Zuk et al. 2002; Ong et al. 2014; Li et al. 2015) (Table 1). As regard to cell-based therapy in MS, AD-MSCs could be a better cell source since they are able to cross BBB and exert neuroregenerative, immunomodulatory, and anti-inflammatory effects (Ghasemi 2015). It was recognized that secretome of AD-MSCs plays an important role in the regulation of different process, contributing by the release of neuronal growth factors such as BDNF, GDNF, and NGF into CNS neuroprotection and regeneration. Proteomic analysis of AD-MSCs secretome revealed a high content of anti-inflammatory mediators including transforming growth factor (TGF)-β, prostaglandin E2 (PGE2), and IL-10. AD-MSCs also show angiogenic properties, with recent evidence of a potential role in healing damaged tissue through secretion of vascular endothelial growth factor such as vascular endothelial growth factor (VEGF), HGF, IGF-1, platelet-derived growth factor-BB (PDGF-BB), and angiopoietin-like 4 protein (Locke et al. 2009; Salgado et al. 2010; Ribeiro et al. 2012; Kalinina et al. 2015). Several studies performed using AD-MSCs in EAE model established that AD-MSCs-based cell therapy is able to ameliorate disease development and enhance anti-inflammatory responses (Marin-Banasco et al. 2014; Semon et al. 2014). In study by Yousefi et al. (2013), the therapeutic efficacy of intraperitoneal and intravenous transplantation of allogenic AD-MSCs (1 × 106) was compared in EAE mice. It was found that intraperitoneal injection had better effects in keeping the number of the splenic CD4+CD25+FOXP3+ T-cell population and increase IL-4 production. In addition, intraperitoneal injection of AD-MSCs compared with intravenous one resulted in lower IFN-γ secretion and decreased cell infiltration in brain more efficiently. Both routes of AD-MSCs administration equally downregulated splenocytes proliferation, IL-17 secretion, and the severity of clinical score. Tafreshi et al. (2014) investigated the status and level expression of glycogen synthase kinase 3β (GSK3β), known to control inflammatory response during MS (Beurel et al. 2010), in the spinal cord of EAE mice intraperitoneally administered with human AD-MSCs. AD-MSCs transplantation into EAE mice maintains GSK3β in a phosphorylated state, thereby consenting the shift toward a Th2 response, reduction of mononuclear cell infiltration and stabilization of the BBB, leading generally to the amelioration of disease. Conflicting data have been published disclosing therapeutic efficacy of autologous AD-MSCs transplantation. In study by Marin-Banasco et al. (2014), the efficacy of AD-MSCs has been assessed by autologous transplantation in relapsing–remitting EAE (RR-EAE)-induced SJL mice. Authors compared AD-MSCs isolated from SJL/J mice (SJL-AD-MSCs) with AD-MSCs isolated from C57BL/6 mice and intravenously injected at the same dose (1 × 106). Both cell types displayed analogous morphology and volume when cultured for a long period of time under the same experimental conditions. Moreover, SJL-AD-MSCs were found to reduce disease severity in RR-EAE mice and the neurohistopathological damage. A minor presence of cell infiltrates accompanied by a considerable percentage of demyelination was found in spinal cord sections from treated mice. Authors suggest that features of SJL-AD-MSCs are fully comparable with the standardized AD-MSCs obtained from the C57BL/6 mouse strain, and thus could be a promising therapeutic tool in experimental medicine for autologous transplantation. On the contrary, a study by Zhang et al. (2014) demonstrated that the in vivo infusion of allogenic murine AD-MSCs (1 × 106) taken from control mice and intraperitoneally injected in EAE mice significantly ameliorates the severity of disease. On the contrary, mice transplanted with autologous AD-MSCs (1 × 106) isolated from EAE mice showed no therapeutic efficacy. Specifically, EAE-AD-MSCs exhibited increased expression of pro-inflammatory cytokines and chemokines including TNF-α, IL-12, IL-17, and monocyte chemoattractant protein-1 (MCP-1). Due to the distinct pro-inflammatory secretory profile, autologous transplantation of AD-MSCs appears to lacking efficacy for EAE treatment. An interesting recent study in 2016 (Strong et al. 2016) emphasizes the importance of the choice of AD-MSCs donor. Researchers compared the efficacy of intraperitoneal injection of allogenic AD-MSCs (1 × 106) taken from lean healthy donors (lnASCs) with allogenic AD-MSCs from obese subjects (obASCs) in EAE mice. It was demonstrated that obASCs, unlike lnASCs, failed to improve clinical symptoms or inhibit inflammation in the CNS. Further, obASCs expressed higher mRNA levels of several pro-inflammatory cytokines and growth factors (IL-1, IL-6, IL-12, PDGF, TNF-α, leukemia inhibitory factor, intercellular adhesion molecule 1, and granulocyte colony-stimulating factor (G-CSF)) compared to lnASCs. In addition, conditioned medium (CM) collected from the obASCs markedly enhanced the proliferation and differentiation of T cells, while CM from lnASC did not. Results achieved lead to believe that obesity reduces the anti-inflammatory properties of human ASCs making them unsuitable cell sources. Therefore, it seems that although AD-MSCs are cultured and expanded in vitro under standard condition, the donor’s status could influence their properties by altering inflammatory profile. Shalaby et al. (2016) established that the transplantation of human AD-MSCs taken from lipoaspirate from the subcutaneous white adipose tissue of healthy donors had beneficial effects on chronic EAE rats. In detail, AD-MSCs (1 × 106) injected intravenously improved clinical disease score and reduced B-cell, macrophage, and T-cell infiltration in brain, as well as vascular congestion and axonal loss of the gray and white matters of cerebral cortex. AD-MSCs treatment also was proved to induce a Th2 shift of the immune response by decreasing IFN-γ and IL-17, and increasing IL-4 and IL-10 levels. According to the authors, these effects can be ascribed at least in part to the HLA-G secretion from the AD-MSCs, which contribute to their immunosuppressive properties. Moreover, AD-MSCs have been proved for their capability to cross the BBB and exert their action into the inflamed CNS. Indeed, an engraftment of the AD-MSCs was found into the lymph nodes and the brains up to 25 days after cells injection. The injection of the AD-MSCs at the peak of the disease showed better results than those injected after disease stabilization. 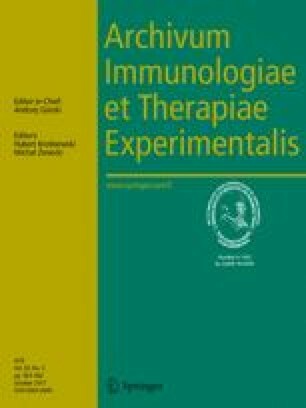 Results from another study confirmed that the intravenous infusion of allogenic human AD-MSCs (5 × 106) plays a key role in tissue repair processes by migration to le lesion areas and suppression of inflammatory responses in chronic as well as in relapsing–remitting EAE mice (Payne, Sun et al. 2013). Furthermore, Constantin et al. study (Constantin, Marconi et al. 2009) found that murine AD-MSCs taken from subcutaneous abdominal fat tissue of healthy mice and intravenously injected (1 × 106) into EAE mice before disease onset led to AD-MSCs homing in lymphoid organs and CNS. AD-MSCs were effective in ameliorating chronic EAE by reducing brain and spinal cord inflammation, demyelination, and axonal damage. In addition, AD-MSCs treatment was found to induce Th2-type cytokine secretion and increased endogenous oligodendrocyte precursors. Molecular mechanisms underlying AD-MSCs-driven neuroprotective effects in EAE model discussed above are listed in Table 3. To date, no clinical results have been published about the use of AD-MSCs in MS patients. Looking to clinicaltrials.gov, a service of the U.S. national Institutes of Health (https://clinicaltrials.gov), we found a randomized, placebo-controlled study (ClinicalTrials.gov Identifier: NCT01056471) aimed to evaluate safety and feasibility of therapy with two different doses of autologous AD-MSCs in secondary progressive MS patients who do not respond to conventional treatments. Although this study has been completed, results are yet to be published. Moreover, it found another non-randomized, multi-center study safety of intravenous transplantation of autologous AD-MSCs for MS treatment (ClinicalTrials.gov Identifier: NCT02326935), but is currently recruiting participants. In the last decades, multi- and pluripotent cells from fetal tissues, with properties intermediate between embryonic and adult stem cells, have aroused great interest in the scientific community as an excellent alternative to the use of BM-MSCs (Pappa and Anagnou 2009). Fetal annexes-derived MSCs (FA-MSCs) including umbilical cord blood, term placenta, villi, and amniotic fluid represent an easily accessible and abundant font of progenitors (Chan et al. 2007; Toda et al. 2007; Di Trapani et al. 2013). Moreover, these kind of cells are preferable to embryonic cells obtained from a direct biopsy of the fetus during gestation, as the collection technique is associated with a defined morbidity/mortality and ethical issues (Bollini et al. 2013). Particularly, human umbilical cord blood and placenta are well-known sources of stem cells with capabilities comparable to BM-MSCs and actively involved in tissue repair mechanisms via the secretion of bioactive factors (Miao et al. 2006). Likewise to BM-MSCs, these cells are capable of developing into cells of various tissue lineages including adipocytes, chondroblasts, osteoblasts, cardiomyocytes, and neural cells (Sanchez-Ramos 2002; Chen et al. 2005; Baksh et al. 2007). Compared to BM-MSCs or AD-MSCs, fetal tissue was found to contain a sufficient number of stem cells and progenitor cells for the development and a faster rate of proliferation (Deuse et al. 2011; Ishii and Eto 2014). Moreover, FA-MSCs exhibit rare chromosomal changes, a stable karyotype, late senescence, and incapacity to generate teratomas that suggest their genetic stability (Shin et al. 2009). In addition, these cells are poorly antigenic, expressing HLA-G for immune tolerance during pregnancy and thus are less likely to be rejected by transplant receivers (Hunt et al. 2005). Therefore, they can be used in autologous as well as in allogenic transplantation. Results of flow cytometry revealed that cells isolated from human umbilical cord, amniotic fluid, and placenta expressed CD13, CD29, CD44, CD73, CD90, CD105, and HLA-ABC, but not hematopoietic or endothelial specific antigens CD14, CD31, CD34, CD38, CD45, CD106, CD133, and HLA-DR (De Coppi et al. 2007; Shin et al. 2009; Christodoulou et al. 2013) (Table 1). It is commonly accepted that potency of isolated FA-MSCs is related to the content of secretome, which includes G-CSF, TGF-β, VEGF, IGF1, BDNF, and GDNF. In addition, FA-MSCs secretome showed to be significantly enriched for a variety of interleukins (IL-10, IL-27, IL-17E, IL-1β, IL-6, IL-8, and IL-1ra) (Bollini et al. 2013). In study by Fisher-Shoval and coworkers (Fisher-Shoval et al. 2012), it was demonstrated that the bilateral intracerebroventricular injection of allogenic human placental MSCs (PL-MSCs) (2 × 105) into EAE mice significantly reduced clinical severity and increased mice survival. In the same study, authors applied PL-MSC-CM on EAE-derived splenocytes in order to test in vitro whether PL-MSCs could induce an immunosuppressive function mediated by release of soluble factors. It was found that PL-MSC-CM slightly reduced cell proliferation after exposure to MOG35−55; however, the PL-MSCs that were transplanted intracerebroventricular after MOG35−55 injection had no effect on the spleen cell proliferation in vivo. The RT-PCR analysis for IL-10 and IL-17 in splenocytes of EAE mice treated with PL-MSCs and in control mice showed comparable expression levels, thus proving the lack of peripheral immune response to the transplanted PL-MSCs. In addition, it was found that conditioned medium from lipopolysaccharide-activated astrocytes stimulated PL-MSCs to express TNF-inducible gene 6 (TSG-6) an anti-inflammatory mediator, whose expression increased in response to pro-inflammatory cytokines such as TNF-α and IL-1β. These results lead to believe that transplantation of PL-MSCs in EAE mice can reduce inflammation at the site of damage by TSG-6 production (Fisher-Shoval et al. 2012). About 100–200 million of human amnion epithelial cells (hAECs) can be harvested from term placenta, which is generally discarded after birth (Murphy et al. 2010) and instead could represent an important source of potential regenerative tissue. In vitro studies have shown that hAECs can develop into various cell lines, such as cardiomyocytes, myocytes, osteocytes, adipocytes, pancreatic cells, hepatocytes, as well as neural and astrocytic cells (Miki et al. 2005; Ilancheran et al. 2007). The hAECs pluripotency makes them suitable in treating disorders of the nervous system. Moreover, in vitro hAECs are able to interfere with cells of the innate and adaptive immune system, by inhibiting neutrophil and macrophage migration and reduction of T- and B-cell proliferation (Li et al. 2005; Tan et al. 2014). The potential therapeutic role of hAECs in MS has recently been investigated in EAE model. According to preliminary data obtained by McDonald and Bernard (2011), hAECs significantly suppress in vitro T cell activation and proliferation after exposure to MOG, and also the release of pro-inflammatory cytokines such as IFN-γ and TNF-α. In addition, the intraperitoneal injection of allogenic hAECs (1 × 106) in EAE mice significantly reduces clinical symptoms and decreases CNS inflammation, demyelination, and axonal degeneration. In a subsequent study (McDonald et al. 2015), the same authors extended previous findings in a relapsing–remitting model of EAE in NOD/Lt mice. They demonstrated that the transplantation of allogenic hAECs at the disease onset significantly ameliorates the degree of disease by inhibiting Th17 and Th1 cells production within the peripheral lymphoid organs and CNS. Authors suggest that this effect is due also to a rise in the pool of naïve CD4+ T cells, and a shift towards a Th2-dominant environment. Here, it was demonstrated that using a low dose (1 × 106) and a high dose (5 × 106) of hAECs, the treatment was effective in a dose-dependent manner in ameliorating clinical and pathological signs of disease. According to these findings, the therapeutic effect of hAECs seems to be in part mediated by inducing an anti-inflammatory response within the CNS, suggesting hAECs as hopeful agent for the MS treatment. Results from another work (Liu et al. 2012) demonstrated the potent immunosuppressive ability of hAECs both in vitro and in vivo. It was found that hAECs significantly suppressed splenocyte proliferation in vitro in hAECs–splenocyte stimulated with MOG and with mitogen concanavalin A by suppressing in both antigen non-specific and antigen-specific settings. Specifically, hAECs utilize TGF-β and PGE2 for immunosuppression. Additionally, it was found that the intravenous allogenic hAECs administration (2 × 106) in EAE mice strongly mitigated the course of disease. hAECs treatment predominantly through the production of TGF-β and PGE limited the expansion of MOG-reactive T cells and their infiltration into the CNS which in turn limited monocyte cell infiltration. Splenocytes taken from hAECs-treated mice showed also a Th2 cytokine shift with significantly elevated IL-5 production. The neurotrophic factors such as BDNF and NGF produced by hAECs could contribute in part to the beneficial effect in hAECs-treated EAE mice. As demonstrated in Liu et al. study (2013), also human umbilical cord-derived MSCs (hUC-MSCs) exert potent anti-inflammatory functions in EAE model. It was found that hUC-MSCs were able to reestablish behavioral functions and attenuate histopathological deficits over the long term, when transplanted in EAE mice. Only one injection of allogenic hUC-MSCs (2 × 107) indeed suppressed perivascular infiltrations and reduced demyelination and axonal loss in the spinal cord of EAE mice. Moreover, hUC-MSCs exerted immune-modulatory activities by inducing a shift of T cells from Th1-type cells to Th2-type cells. hUC-MSCs-treated mice indeed showed increased levels of IL-10 and IL-4 cytokines and decreased production of IL-17. The umbilical cord matrix or human Wharton’s jelly is another easily accessible source of stromal cells with mesenchymal-like properties (WJ-MSCs), which show morphological and functional similarity to BM-MSCs. WJ-MSCs were found to exert neuroprotective effects when administered in EAE animals, thus representing a notable source for cell transplantation to treat MS. As reported in Mikaeili et al. study (Mikaeili Agah, Parivar et al. 2014), allogenic WJ-MSCs (5 × 105) transplanted in the brain ventricles of mice subjected to EAE reduced the clinical severity of EAE. WJ-MSCs also promote the regeneration of myelin sheaths in the lesioned brain. Particularly, in this work, it was demonstrated that combination of trophic factors (fibroblast growth factor 2 (FGF2), EGF, and PDGF-AA) was able to induce the differentiation of WJ-MSCs into cells with morphological characteristics of the oligodendrocyte phenotype and oligodendrocyte cell surface markers (2B5 and PDGFRα). These results were corroborated by a recent study of 2015 (Donders et al. 2015) which showed that intravenous transplantation of allogenic WJ-MSCs (2 × 106) into EAE rats led to a reduction of autoantigen-induced T-cell proliferation through contact-dependent and paracrine mechanisms proving their immunomodulatory activity. Here, WJ-MSCs were also found to have a low immunogenic phenotype and show intrinsic expression of neurotrophic factors (BDNF, GDNF, and NGF) and anti-inflammatory molecule (IL-10). In a recent study conducted in 2016, Bravo et al. (2016) used the EAE model in order to evaluate the therapeutic effects of human decidua-derived MSCs (DD-MSCs). DD-MSCs are a cell population obtained from placental extraembryonic membranes and with a proliferation rate and capacity to differentiation higher than BM-MSCs. Achieved results showed that DD-MSCs pretreatment was able to delay the disease onset and reduce the score of disability substantially for as long as treatment was maintained. Allogenic DD-MSCs intraperitoneal injection (1 × 106) in EAE mice inhibited T-cell proliferation and downregulated IL-17 production, leading to an anti-inflammatory profile of spleen T cells by enhancing production of IL-10 and IL-4. Moreover, impairment of Th17 phenotype establishment in favor of the Th2 subtype mediated by DD-MSCs was also proved looking to lower RORγT and higher GATA binding protein 3 (GATA-3) expression levels found in DD-MSCs-treated mice. Both transcription factors are, respectively, known to be involved in the delineation of Th17 and Th2 phenotypes (Reiner 2007). Neuroprotective properties of FA-MSCs found in in vivo models are listed in Table 4. A recent randomized, placebo-controlled, multiple-dose study (Lublin, Bowen et al. 2014) evaluated DD-MSCs administered by intravenous infusion into relapsing–remitting and secondary progressive MS patients. The study evaluated two dosage levels of DD-MSCs and specifically a low dose (1 unit; 150 × 106 cells) and a high dose (4 units; 600 × 106 cells) versus placebo given one week apart. The results showed that at both doses tested, there was no sign of a paradoxical worsening of MS lesions. Disability scores over the one-year follow-up period were similar to baseline or improved for the majority of patients who received DD-MSCs, which hints at a potential reparative effect in this disease. Moreover, DD-MSCs infusions were safe and well tolerated in both types of MS patients. Only mild adverse effects were recorded such as headache, fatigue, infusion site reactions, and urinary tract infection. It has been shown that intravenous infusion of hUC-MSCs simultaneously with anti-inflammatory treatment (methylprednisolone and prednisone) in MS patients leads to reduced disability score, relapsed occurrence, and decreased inflammatory cytokines production due to the significant increase in T helper Th2 cells and decrease in Th1 cells (Li et al. 2014). The safety and efficacy of hUC-MSCs were also evaluated in the treatment of secondary progressive MS patients in a Chinese population (Lu et al. 2013). In detail, on day 0, eight enrolled patients received an intravenous injection of 2 × 107 hUC-MSCs followed by an intrathecal injection at the same dose. Then patients received an intravenous injection of 2 × 107 hUC-MSCs once a week for 3 weeks. The study suggested that, among the eight cases, six showed therapeutic improvement after hUC-MSCs treatment, and in all eight patients, relapse frequencies decreased by around 30% than before the treatment. Moreover, blood T and B cells were found to be inhibited after treatment. MRI evaluations also showed decreased volume and severity of lesions, with few adverse events. A case report in 2013 reported the data in a 25-year-old MS patient treated with intrathecal and intravenous WJ-MSCs infusions as well as BM-MSCs at different doses (1–3 × 108) over a 4-year period (Hou et al. 2013). This study emphasized that allogeneic WJ-MSCs may be a safe, effective, and more practical source of stem cells for the treatment of MS compared to BM-MSCs administration. Indeed, it was demonstrated that large numbers of allogeneic WJ-MSCs could be obtained more easily than BM-MSC. WJ-MSCs infusions were also well tolerated with no significant adverse events. Furthermore, clinical and radiological disease appeared to be suppressed following the transplantation. Results from another study demonstrated that intrathecal injection of 1 × 107 and intravenous injection of 2 × 107 hUC-MSC into a 55-year-old woman with primary progressive MS led to disease stabilization and improvement in quality life (Liang, Zhang et al. 2009). Although encouraging results were obtained from preclinical studies, the clinical use of FA-MSCs requires further investigations to address whether these cells could be used in MS treatment. In the last years. the identification and isolation of dental tissues-derived MSCs (DT-MSCs) have opened up interesting opportunity for their use in MS treatment. DT-MSCs were originally isolated from the human pulp tissue and named “post-natal dental pulp stem cells” by Gronthos et al. (2000). Afterwards, stem cells from exfoliated deciduous teeth (SHEDs), (Miura et al. 2003), periodontal ligament stem cells (PDLSCs) (Seo et al. 2004), and stem cells from apical papilla (Sonoyama et al. 2006, 2008) were isolated and characterized. Specifically, the periodontium is constituted by gingiva, periodontal ligament (PDL), alveolar bone, and root cementum. PDL is particularly suitable to different functions; especially, it supports the teeth in their sockets and simultaneously it cushions the mechanical stress falling on the dental elements, for example, during mastication. Furthermore, PDL contains stem cells with the potential to form periodontal structures such as cementum and ligament (Ulmer et al. 2010), as well as fibroblasts, cementoblasts, osteoblasts, macrophages, undifferentiated ectomesenchymal cells, cell rests of Malassez, and vascular and neural elements that are capable of generating and preserving periodontal tissues (Benatti et al. 2007). DT-MSCs have high proliferative capacity, are clonogenic in vitro, and demonstrate the ability to differentiate into many cell types such as osteoblasts, chondrocytes, adipocytes, myoblasts, endotheliocytes, and melanocytes, as well as neurons and glia (Gronthos 2000; Arthur et al. 2008; Zhang et al. 2008. Besides their multilineage differentiation and self-renewal capacity, DT-MSCs exhibit immunomodulatory activities and a greater cell growth ability than BM-MSCs. In addition, DT-MSCs exhibit normal karyotypes and a late senescence that suggest their genetic stability (Xin et al. 2013). Compared to BM-MSCs, these cells have a further advantage to be easier to obtain, using less invasive procedures, without risks to the donor, and ethically free. Therefore, they represent a new niche of stem cells for regenerative medicine (Trubiani et al. 2008; Tomar et al. 2010). Many studies have reported the in vitro formation of neuronal lineage cells from PDLSCs (Kadar et al. 2009; Osathanon et al. 2013). Particularly, it has been shown that untreated oral stem cells were able to differentiate into functional neurons upon injection into nervous system (Arthur et al. 2008). Human DT-MSCs express the surface antigens CD13, CD29, CD44, CD73, CD90, CD105, CD146, CD166, Oct 3/4, and SSEA-4, but do not express the CD11b, CD14, CD19, CD34, CD45, CD79a, CD117, CD133, CD144, CD271, and HLA-DR surface antigens (Pisciotta et al. 2015; Ledesma-Martinez et al. 2016; Trubiani et al. 2016) (Table 1). As DT-MSCs do not express HLA-DR, they display low immunogenicity and can be used indiscriminately in autologous and allogenic transplantation (Gay et al. 2007; Ding, Liu et al. 2010). Recently, it was suggested that their therapeutic effects could be related to the growth factors that DT-MSCs secrete rather than to their differentiation potential (Ahmed et al. 2016). Indeed, secretome of DT-MSCs contains elevated levels of BDNF, neurotrophin-3, GDNF, and NGF (Mead, Logan et al. 2014). In addition, compared to BM-MSCs and AD-MSCs secretome, DT-MSCs secreted important growth factors and cytokines such as VEGF, RANTES, FLT-3, MCP-1, Fractalkine, and GM-CSF (Ahmed et al. 2016). In this way, DT-MSCs increase neuronal cell survival and exert neuroprotective effects. In a recent study in 2016 (Trubiani et al. 2016), the therapeutic potential of human allogenic PDLSCs (hPDLSCs) isolated from healthy donor was investigated in mice injected with MOG35−55. In detail, following EAE induction, mice were observed every 48 h for signs of EAE and weight loss. Within 14 days after immunization (disease onset), the EAE mice were administered with a single intravenous injection of hPDLSCs (1 × 106). Fifty-six days after EAE induction, mice were sacrificed and spinal cord and brain tissues were analyzed in order to demonstrate neuroprotective effects of hPDLSCs treatment. Specifically, diminished clinical signs and decreased lymphocytic infiltration and demyelination were detected. Administration of hPDLSCs also exerted a modulatory effect on the expression of several inflammation key markers, including TNF-α, IL-1β, IL-10, glial fibrillary acidic protein, and the triggering of apoptotic death pathway (cleaved caspase 3, p53 and p21). In this study, authors attribute the neuroprotective effects of hPDLSCs treatment to the production of neurotrophic factors, such as NGF and BDNF, which could control fundamental processes such as axonal growth and synaptic plasticity in CNS. Similarly, the immunomodulatory and regenerative activities of SHEDs have been explored (Shimojima et al. 2016). Human SHEDs transplanted into completely transected adult rat spinal cord resulting in the functional recovery of hind limb locomotion (Sakai et al. 2012). SHED engraftment promotes also functional recovery from several acute and chronic CNS injuries through paracrine mechanisms triggering endogenous tissue-repairing action (Inoue et al. 2013; Yamagata et al. 2013). In addition, SHED-conditioned medium (SHED-CM) was found to exert similar therapeutic activities to those of SHEDs, including remyelination of the CNS (Shimojima et al. 2016). Another recent study in 2016 (Shimojima et al. 2016) showed the beneficial effects of the SHED-CM from human exfoliated deciduous teeth in alleviating EAE severity. EAE mice injected intravenously with a single injection of SHED-CM (500 μl) at the peak of disease exhibited a marked improvement in EAE signs, by reducing demyelination and axonal injury. In addition, investigation on spinal cord from treated mice revealed a reduced inflammatory cell infiltration and production of pro-inflammatory intermediaries, which was related with a shift in the microglia/macrophage phenotype from M1 (pro-inflammatory phenotype) to M2 (anti-inflammatory phenotype). In parallel, the same authors found that SHED-CM in in vitro blocked myelin oligodendrocyte glycoprotein-specific CD4+ T cells and Th1/Th17 cytokines production. The beneficial effects seem to arise from the presence of several growth factors, including neurotrophic factors, among which HGF, and M2-inducing molecules such as the sialic acid-binding Ig-like lectin-9. The summary of molecular mechanisms underlying DT-MSCs-induced neuroprotective effects discussed above is listed in Table 5. Due to their recent discovery, there are still no clinical studies to confirm their effectiveness in treating MS; however, in light of the above findings, dental-derived MSCs can be proposed for as promising strategy to approach MS treatment. Therefore, we encourage the scientific community to further studies. This review summarizes the current knowledge about the MSCs derived from the most investigated bone marrow tissue and other unconventional tissues including adipose tissue, fetal annexes, and dental tissues in the treatment of MS. To date, the BM-MSCs remain the most investigated as a good therapeutic approach for CNS-related diseases. Nevertheless, there are still considerable limitations associated with their use such as a painful process of collection, use of extensive anesthesia during the harvest, low cell yields per tissue, and high degree of viral contamination upon sampling. Furthermore, BM-MSCs were found to exhibit, according to increasing donor age, a decrease in MSCs numbers, proliferation, and differentiation, along with enhanced apoptotic and senescent characters. These cells escape the immune system and represent effective candidate for cell-based therapy including autologous as well as allogenic BM-MSCs. Indeed, autologous BM-MSCs derived from the bone marrow of MS patients were found to possess the same properties of BM-MSCs derived from healthy donors. An emerging body of literature suggests that adipose tissue may provide an copious, readily available alternative source of cells, by exhibiting morphological, phenotypic, and functional characteristics analogous to BM-MSC ones. AD-MSCs can be isolated in large amounts through minimally invasive method and less donor site morbidity compared to bone marrow collection. However, the quality of cells is closely influenced by patient’s clinical history, age, and genetic profile. In this context, conflicting data have been published disclosing therapeutic efficacy of autologous AD-MSCs transplantation. It seems that the choice of donor plays a key role in determining therapeutic properties of AD-MSCs. In addition, repeated AD-MSCs expansion in vitro has been shown to induce cell senescence and genetic instability, afflicting cell multipotency and ultimately its intended utility. FA-MSCs due to their properties allow to overcome these limitations. Indeed, fetal annex tissues were found to contain a large amount of cells with high differentiation and a faster rate of proliferation and differentiation. Moreover, FA-MSCs exhibit rare chromosomal changes, a stable karyotype, and late senescence that suggest their genetic stability. In addition, these cells are poorly antigenic, expressing HLA-G for immune tolerance during pregnancy and thus are less likely to be rejected by transplant recipients. Similarly, DT-MSCs have emerged, in the last years, as a very interesting alternative source of MSCs. These cells, similarly to FA-MSCs, are characterized by high proliferative and greater cell growth capacity, late senescence, and genetic stability. Furthermore, DT-MSCs have the advantage to be isolated with restricted morbidity and without relevant risks for the donor using minimally invasive procedures, and ethically free. DT-MSCs also show low immunogenicity and can be used in autologous as well as in allogenic transplantation. Generally, autologous MSCs transplantation shows lower rates of post-transplant complications and lower risk of transmission of infectious diseases compared to allogeneic transplantation. Thus, autologous MSCs offer numerous theoretical advantages from regulatory, histocompatibility, and immunological perspectives. Therefore, due to these advantages, we suggest autologous rather than allogenic transplantation of MSCs obtained from unconventional sources that could be a promising alternative medicine for the treatment of MS. This work was supported by current research funds 2016 of IRCCS “Centro Neurolesi Bonino-Pulejo”, Messina, Italy.